We invite you to explore and share your faith through the arts. Whether you’re an experienced musician or a beginner, there are a number of different options for every age group. In each, we seek to lead people into a more intimate relationship with Jesus. T here is a place for you in our Music Ministry! We have several choirs, a handbell group, and an orchestra. We meet regularly for rehearsals and participate in weekly services as well as special events here at the church and in our region. We’d love to have you join us! Move and actuate and guide, diverse gifts to each divide; placed according to thy will, let us all our work fulfill. 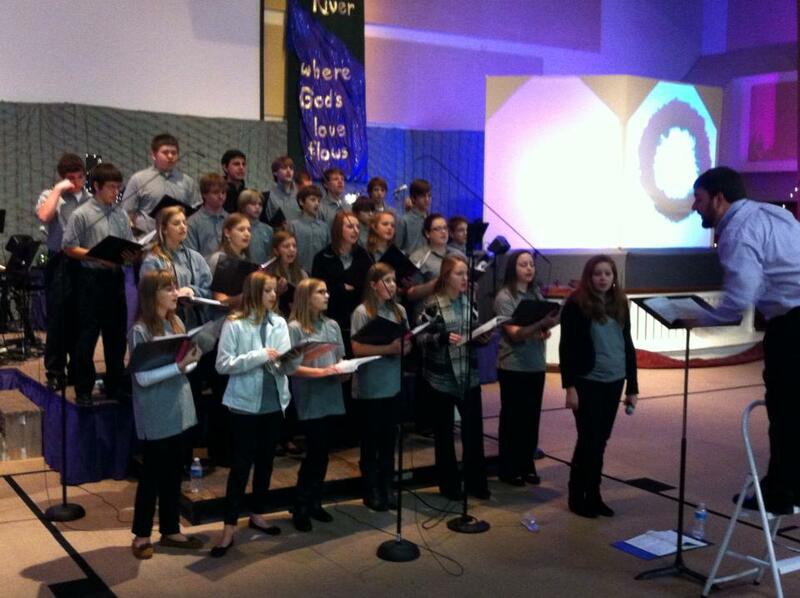 The SonRise Choir provides music and anthems for the 8:30am Traditional Worship Service. This group is made up of fun loving people who enjoy singing hymns. There are also special opportunities to share music within the local community. 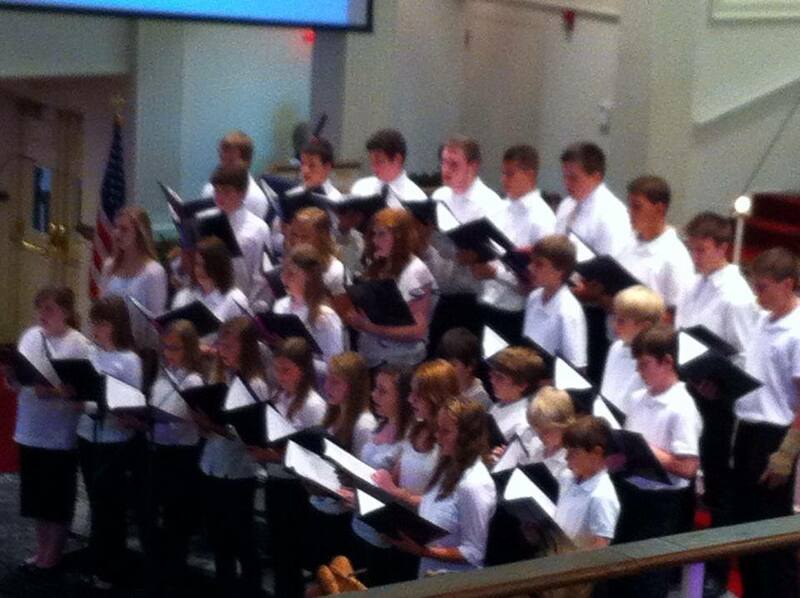 The Chancel Choir provides music and anthems at the 11:00 Traditional Worship Service. As worship leaders, we seek to grow musically as well as spiritually. We seek individuals who have a passion for God and appreciate God’s gift of music and it’s power to draw the church closer to Christ. The River Worship Team seeks to serve God by using their musical gifts to lead others into authentic and meaningful worship. This group serves on a rotating schedule. Each week God molds together the unique contributions of every member to create a community that is growing in Christ together. 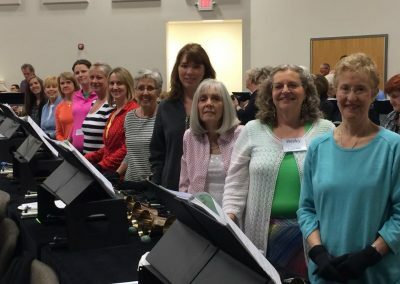 Bells Angels is a group of handbell enthusiasts who strive to contribute musically and spiritually to worship on a regular schedule. HUMC uses a five-octave set of Schulmerich handbells and a three-octave set of Suzuki chimes to play a variety of handbell music. 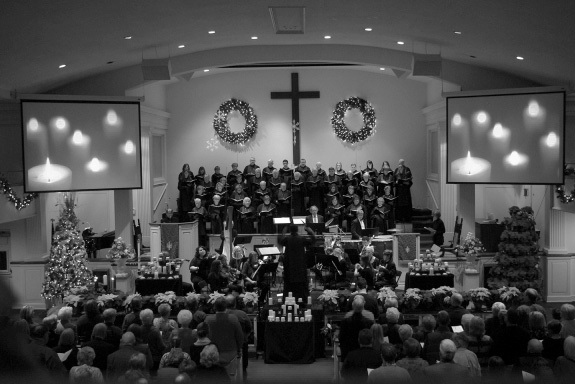 Our orchestra is active during seasonal events and is a great addition to our music ministry. We invite all who are interested in handbells or play an instrument to join us in these special ministries. 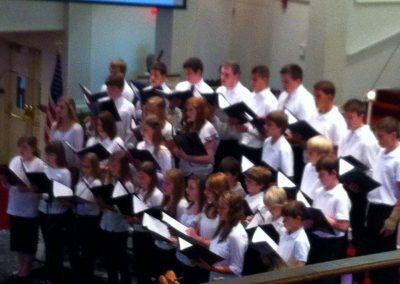 A Children’s Choir rehearses in the Spring and prepares for the Christmas Musical during the Fall. These are incorporated into their weekly Sunday Evening Ministry. 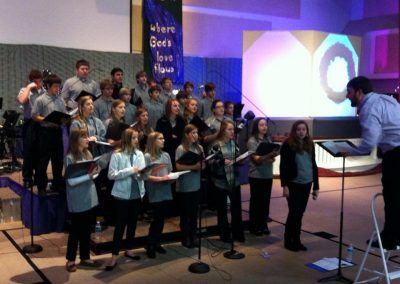 Youth Choir and Band are ensembles open to all students in 6th–12th grade who want to make some great music and share God’s word through song or instruments. We encourage all students to come join us in worshiping the Lord through music.